Floyd Mayweather dished out a masterclass against UFC champion Conor McGregor to complete his stellar career undefeated with 50 wins, overtaking Rocky Marciano's record through a tenth-round stoppage at the T-Mobile Arena. 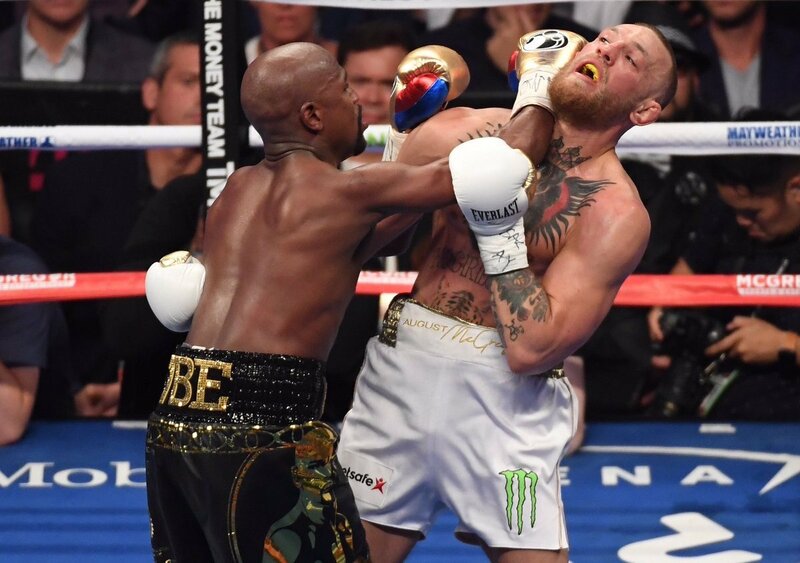 In one of the sport's most lucrative bouts, "Money" was able to crack the code of an Irishman 11 years his younger, finding his rhythm and capitalising on the deteriorating gas tank of McGregor to prompt the referee to halt the action midway through the tenth frame. 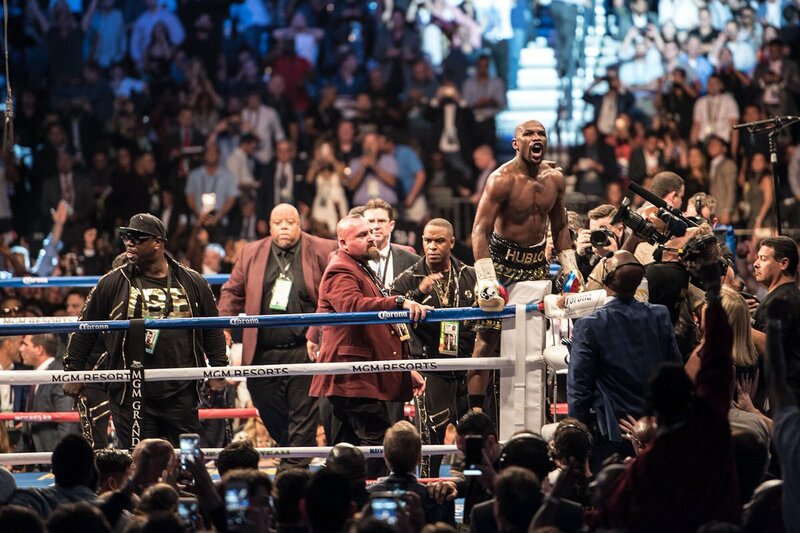 It culminated an earth-blitzing build-up to the seismic spectacle, along with wrapping up the career of Floyd Mayweather, who proved exactly why he went 50 fights undefeated with a final hurrah; going out with a bang on one of his biggest stages. 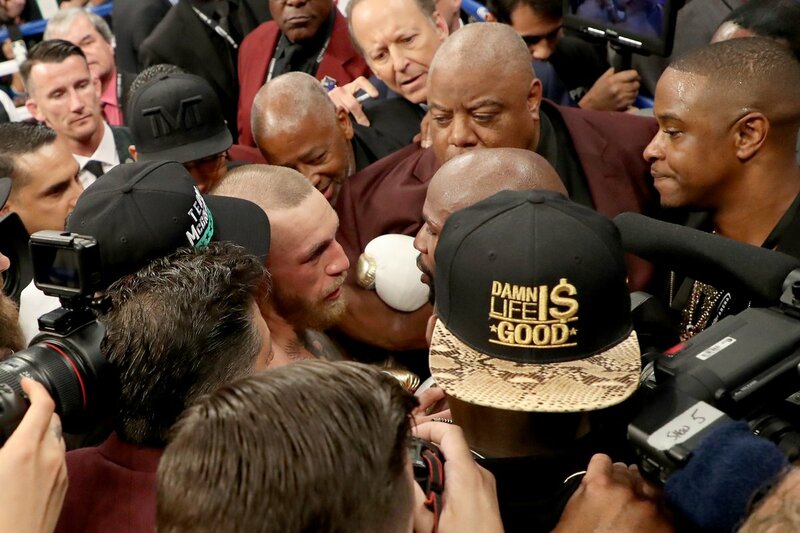 After victories for proteges Gervonta Davis and Badou Jack, Floyd Mayweather followed Conor McGregor to the ring with the world on edge for one of the biggest fights in combat sports history. 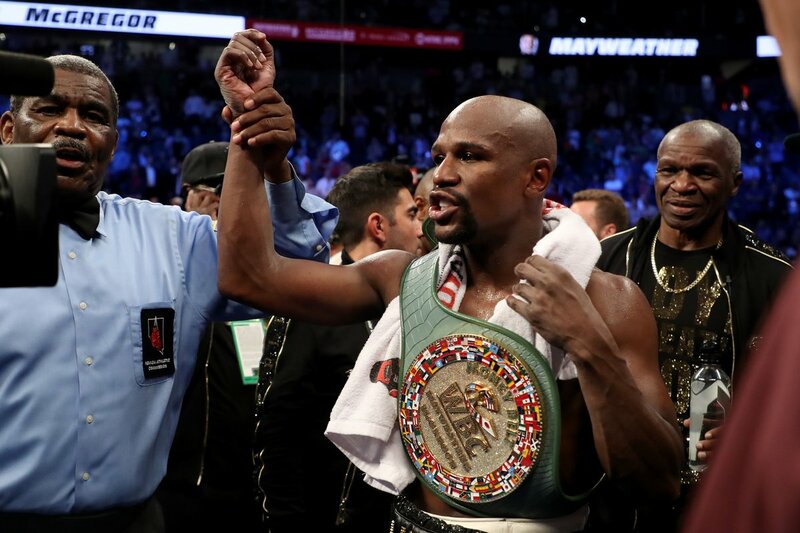 To the surprise of some, it was the "Notorious" who had an early upper-hand, coming forth with intent and pressure, stealing the first two rounds indefinitely as Mayweather demonstrated reluctance to engage, instead opting to figure out the puzzle. And that, he did. 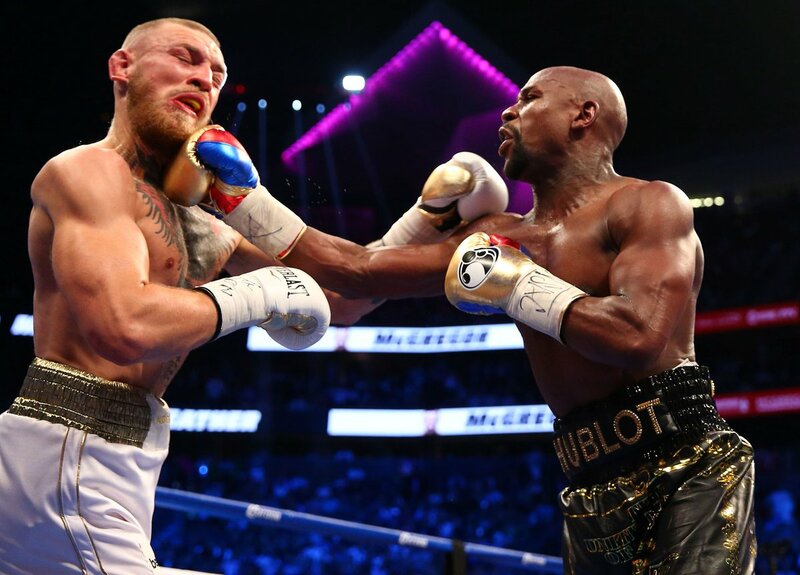 Conor's output was already wiltering towards the latter end of the third round, with the snap fading from his punches making it all the more harder - if not impossible - to faze the guard of the best defensive boxer of all time. With 49 fights of experience over a 21-year world championship professional career, the gulf was soon burst wide open between Mayweather and a man who was making his professional boxing debut. No matter how unusual or unorthodox the challenges presented by McGregor were, Floyd had them worked out. That was no better exemplified than when the illusive footwork from the Irishman made him sidestep into a crushing right hand from his American foe, with the writing on the wall by the seventh. McGregor was not close to getting any point deductions but he certainly managed to test the referee. In the many clinch exchanges that occurred in a fight that certainly wasn't the stinker many of the critics had forecast, he landed short punches to the back of the head and there was a low blow later on - but Floyd brushed it all off with the smile on his face rarely leaving over the course of the 10 rounds. Despite Notorious starting each round on the front foot, his legs just packed up in the tenth session. 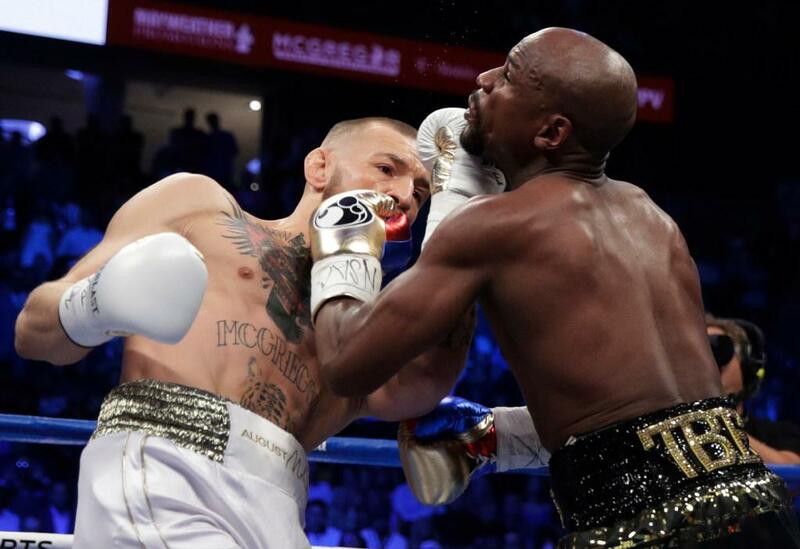 As he stumbled against the ropes, Mayweather was a shark smelling blood, popping a quality right hand that staggered McGregor backwards, before some punishment up against the ropes. A compassionate stoppage by referee Robert Byrd brought it to an end, as Floyd ran to the corner of the ring to stand up and bask in his glory. After all the back-and-forth, bravado, cheap shots and trash talk, there was some respect gained over those 10 rounds of hand-to-hand combat. A post-fight embrace and respect was certainly echoed over the interviews - along with McGregor wanting to go out on his back, rather than being stopped on the feet. "I was just a little fatigued. He was just a lot more composed with his shots," he told Showtime Sports. "When you're in here in the squared circle, everything is different. Let the man put me down, that's fatigue, that's not damage. "Where was the final two rounds? Let me walk back to my corner and compose myself," said Conor before crediting the undefeated former welterweight champion. Floyd Mayweather - who was adamant on the fight not going the distance and repaying the fans after the debacle of the Pacquiao fight - acknowledged the game McGregor in the post-fight press conference: "He's a hell of a fighter, kind of shocked me. It took us a little longer than expected." With the eyes of the world fixed on a 20 x 20 foot ring on the Vegas strip, it was a spectacle to talk about for years to come. Mayweather and McGregor brought the world in for this boxing showdown, and even if it didn't set the world alight, it was worth the bucks. Not only for the product, but as a souvenir: the last centrepiece of greatness from the great Floyd Mayweather. Hard work. Dedication. Fifty wins. 0 losses. A post-fight recap of Floyd Mayweather vs. Conor McGregor.